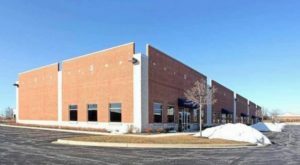 Three suburban leases completed | Brown Commercial Group, Inc.
Brown Commercial Group in Elk Grove Village completed three leases totaling 15,814 square feet in Chicago’s western suburbs. Sales Associate Brian Lindgren represented the tenant in all three transactions, and the building owner in one transaction. Lindgren represented fitness studio LGN Performance LLC in its lease of 6,600 square feet at 941 McLean Blvd. in Elgin. 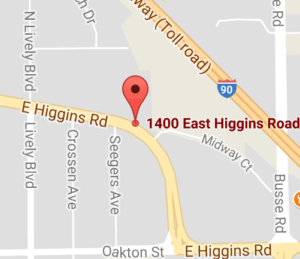 He also represented the landlord, Huron Investment and Developers LLC. The tenant was seeking a more functional space with heavy parking. The building owner is building out the offices for the new tenant prior to its Sept. 1 move-in date. Lindgren also represented Kramer Tree Specialists Inc. in its 6,276-square-foot lease at 731 N. 17th St. in St. Charles. The new facility will be a fabrication and maintenance shop for the tree trimming company while its main offices remain in West Chicago. Mustang Construction’s Matt Wippel represented the building owner, America Small Business LLC. In the final transaction, Lindgren represented Crea Woodworking LLC in its lease of 2,938 square feet at 1471 Holmes Road in Elgin. Value Industrial’s Jennifer Dobrowlski represented the building owner. Brown Commercial Group Inc.is a privately held commercial real estate company specializing in the leasing, sale and acquisition of industrial and office properties throughout the Chicago market. The firm also assists clients with land acquisition and new construction projects. The firm focuses on building relationships with clients and understanding their business model and strategic goals. As such, the firm has a strong track record of leasing and investment success within key suburban submarkets.